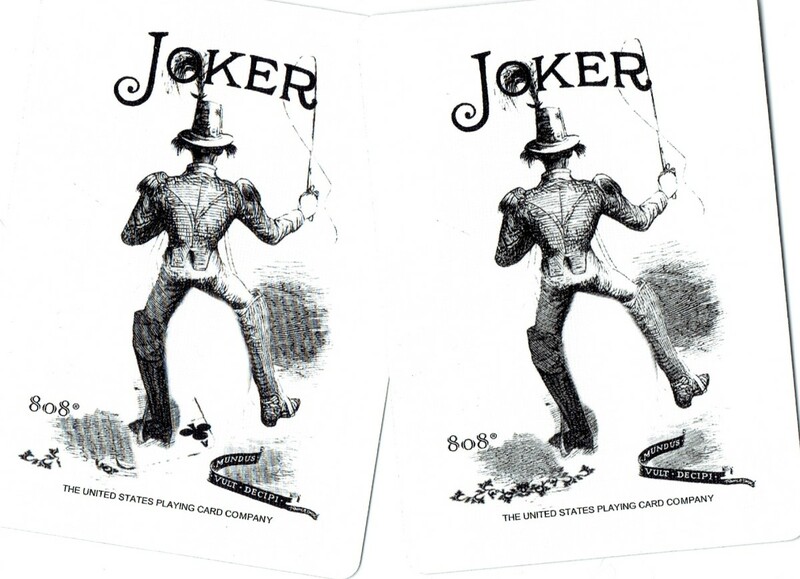 A tarotscope is a horoscope carried out with tarot cards. In essence, it’s a combination of tarot and astrology. Generally, tarotscopes are short and snappy readings for each of the 12 zodiac signs. 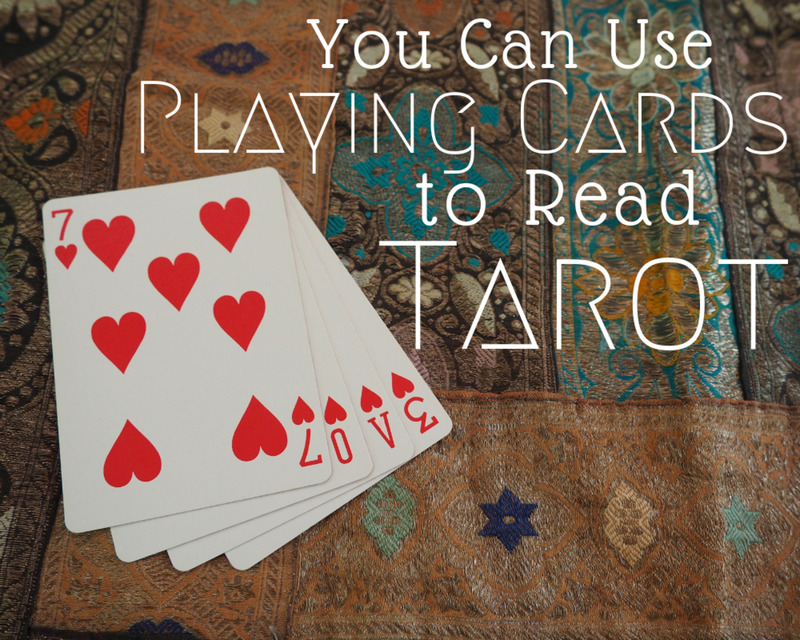 Tarotscopes can be daily, weekly, monthly, or a long-term forecast for the year ahead. 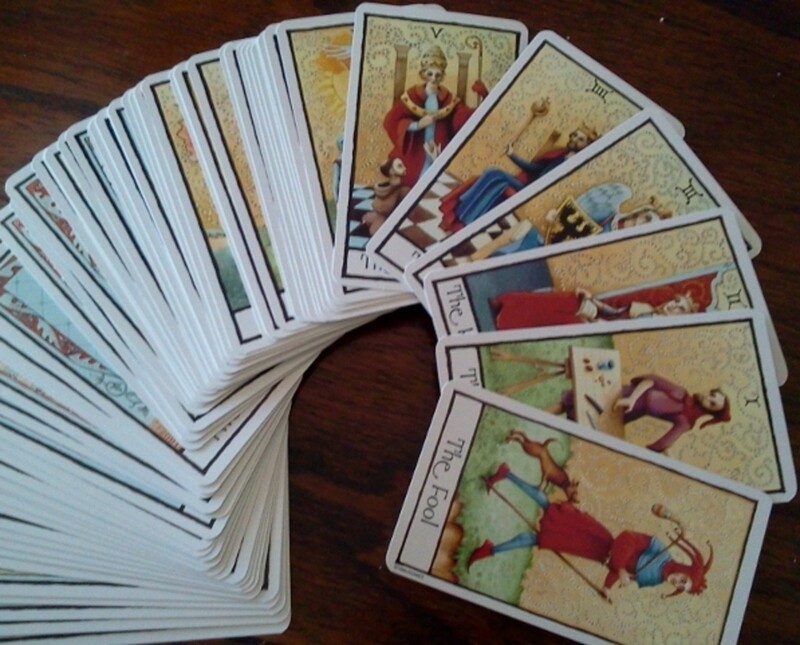 Tarotscopes are also useful to incorporate into normal one-to-one tarot readings. By taking into account the seeker’s sun and moon signs, you can produce an accurate and detailed reading for yourself, or your client. Although you don’t have to be an astrologist, you do need to have a good knowledge of how astrology works. It is also useful to know the characteristics of each sign. If reading for an individual, you need to know their sun, moon and ascendant signs. 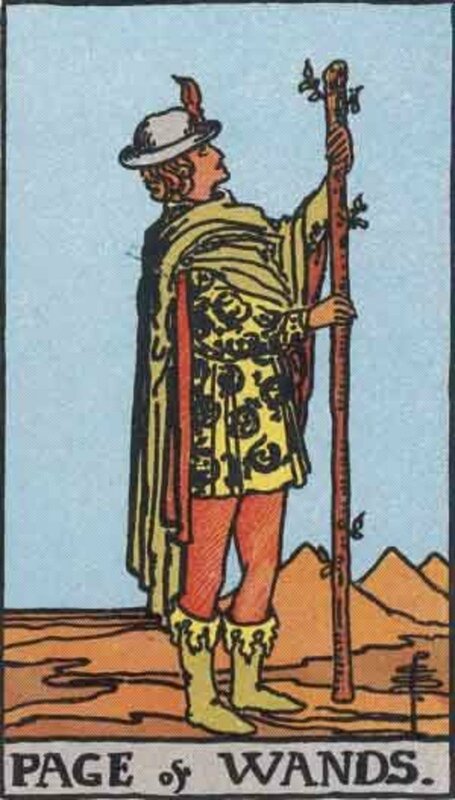 A simple tarotscope is done by drawing one tarot card for each sign and interpreting it through the filter of that sign. 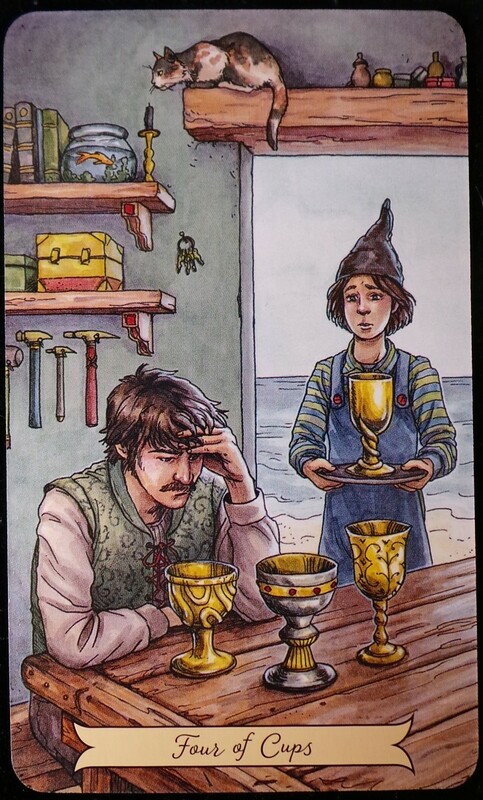 For example, the Three of Cups would have a different interpretation for Leo to that of Pisces. Bear in mind each sign’s element and planetary characteristics and how they oppose or support those of the tarot card. 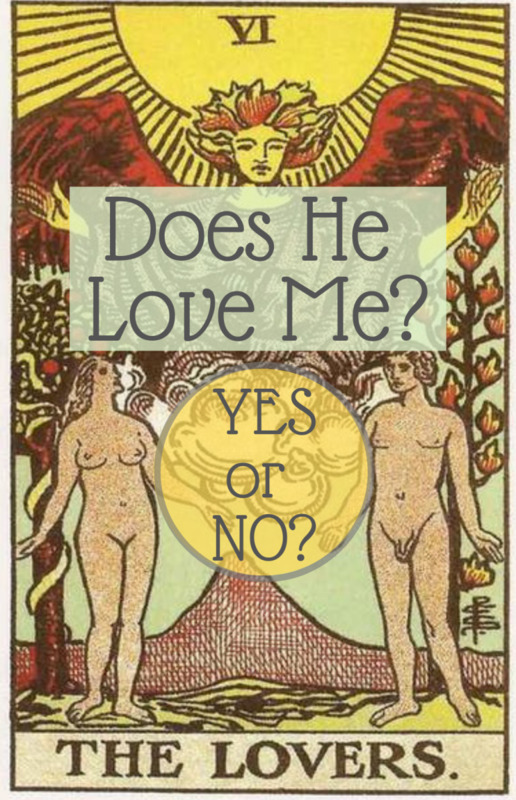 A full tarotscope for one person can go into a lot more depth. It is full of layers and nuances provided by the extra dimension of astrology. Each card can be interpreted through sun, moon and ascendant, or you could assign individual positions in the spread for each of those. You do need to be a confident reader in order to carry it off, although I think it’s acceptable to use other resources to help you complete the reading. My particular favourite is Gary Goldshneider’s “ The Secret Language of Relationships.” It is not only about personal relationships between signs, but has a complete personality profile for each zodiac sign, split into weeks. It also takes into account those who were born on the cusp between two signs. You’ve happened on this page for whatever reason, maybe by accident, or perhaps you were meant to be here, so here’s my small gift to you. A tarotscope with a special message to take away. Scroll to find your zodiac sign, read the message the card has for you, then perhaps go and find out a little more about that particular card. There will be something that resonates with you, and maybe will help, support or encourage you over the next few days and weeks. The Knight of Wands has turned up for you, Aries. Very appropriate, as we know what a fiery individual you are. 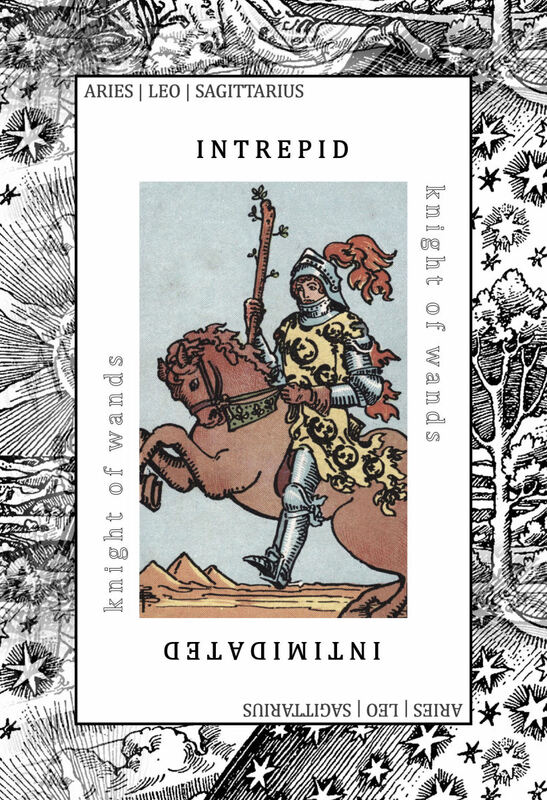 The appearance of the Knight of Wands confirms that you need to be true to your courageous nature. Don’t let anyone put you down or make you feel less than. If you feel like changing tack and trying something new, then follow your heart and your instincts. Don’t forget to treat others as you would prefer to be treated. Offhandedness is not permitted. 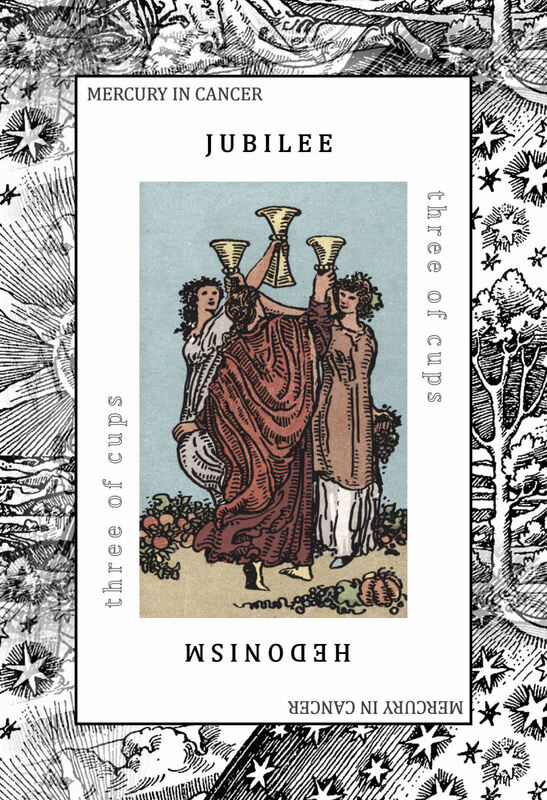 Three of Cups for you, Taurus. Whatever your current problems or issues, they can be relieved by taking some time out. Let your hair down and relax. Meet up with friends, old or new. Get together with family. Your goal is to feel comfortable and joyous. If you have the opportunity to dance, or hike, or any other kind of outdoor physical fun, get to it. 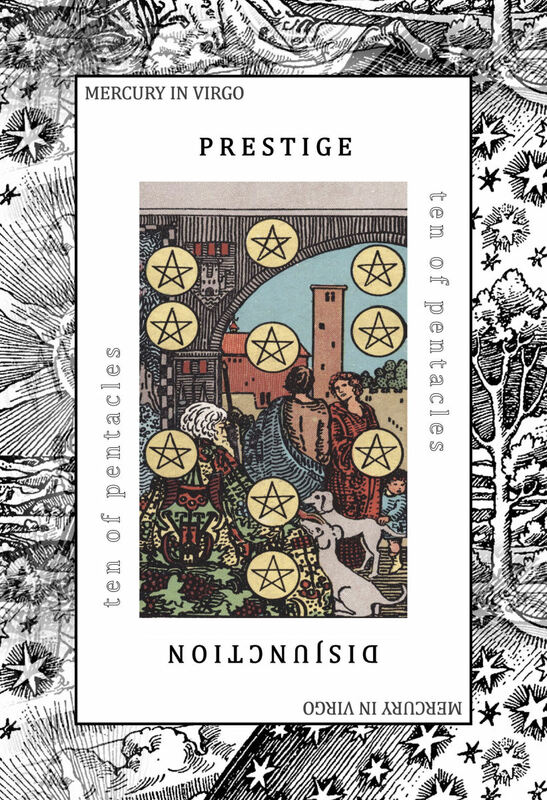 Ten of Pentacles, Gemini. A message to get your feet on the ground and focus on your immediate family or business. There may be a need for you to integrate some aspects of your life, prior to a forthcoming change. This isn’t going to be difficult, but being who you are, you might find the practicalities are challenging. All the help and advice you want is available to you; don’t discount any of it. 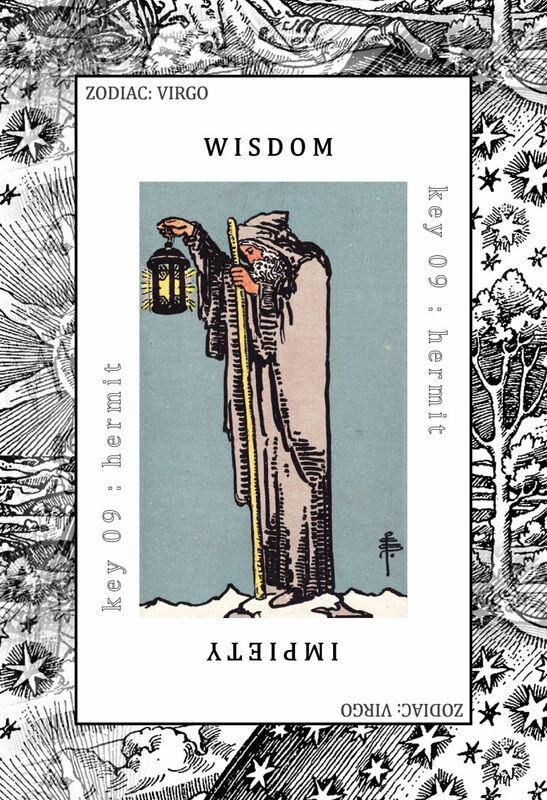 The Hermit has shown up, Cancer. You’re a sensitive soul and this might be a good time to make a judicious withdrawal. You could spend some time processing and exploring your emotional state, and assessing your current life and spiritual path. If you need time alone, then say so. Ask for understanding while you work things out. You will learn a great deal about yourself and your relationship with other people. 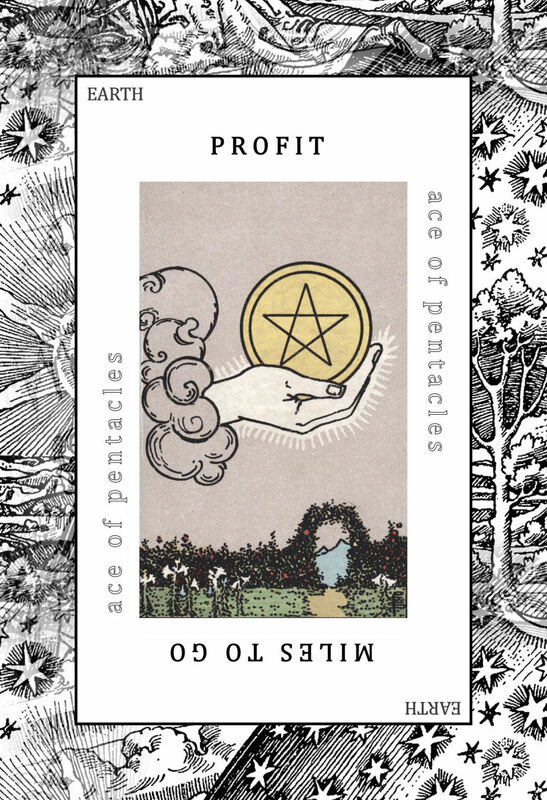 Ace of Pentacles - lots of lovely earth energy around you, Leo. This is a great time to get that new project started, create a garden, remodel the kitchen, or to look for a new home. This card represents the spirit of Getting Things Done. You might receive an unexpected surprise, promotion or opportunity. Finances are looking good too. Be compassionate. 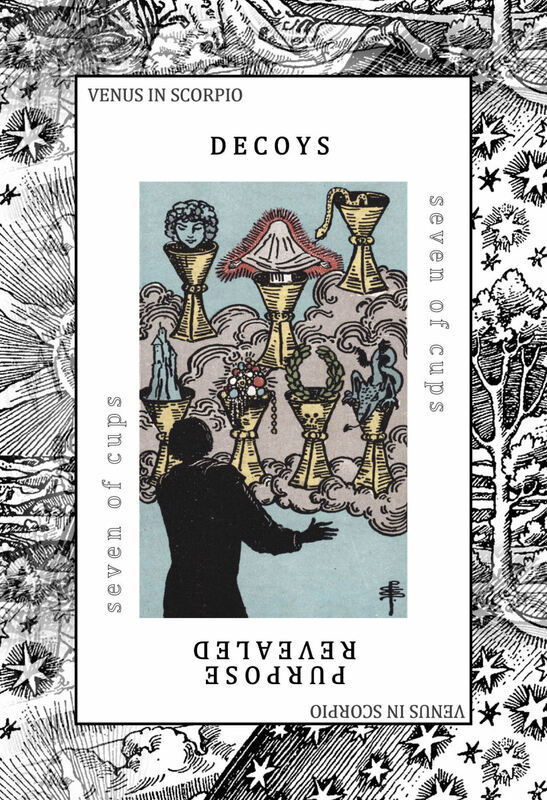 Seven of Cups—stop messing around, Virgo, and make your mind up. You have many options available, so enough with the procrastination. Pick one and go with it. Make a choice and make it be the right one. It really doesn’t have to feel ‘perfect’; you can turn it into perfect through your own efforts. You’re doing fine, by the way. 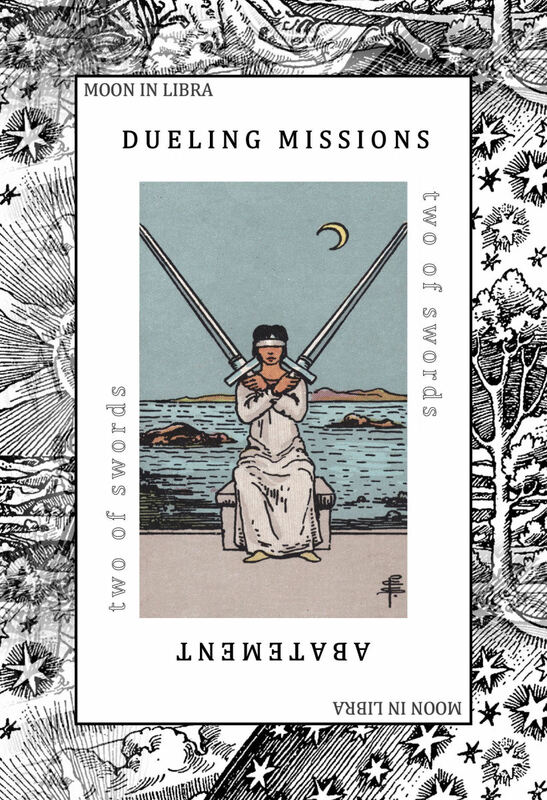 The Two of Swords is your card, Libra. You may think there’s a storm brewing, but there isn’t. It would help if you would open yourself to seeing from a new perspective. What you think is true, is not. There are many ‘truths’ out there. Don’t shut yourself off by becoming enmeshed in your own defenses. Open your eyes. Breathe. Relax. Release. All is well. 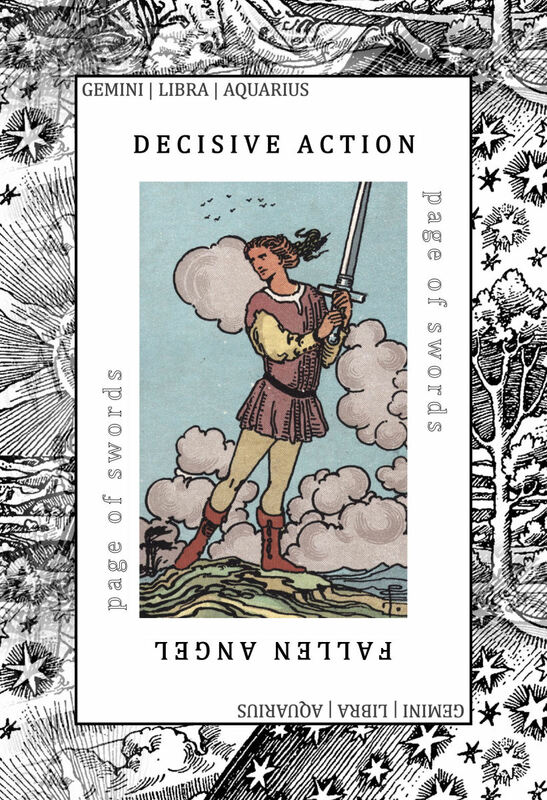 Page of Swords for you, Scorpio. You need to stop focusing on what has passed and, instead look to what is around you now. There’s a sense that you can pluck inspiration right out of the air and bring it to manifestation. If you are tempted to indulge in gossip—don’t. You are better than that. However, do grace us with your witty repartee—we love it. 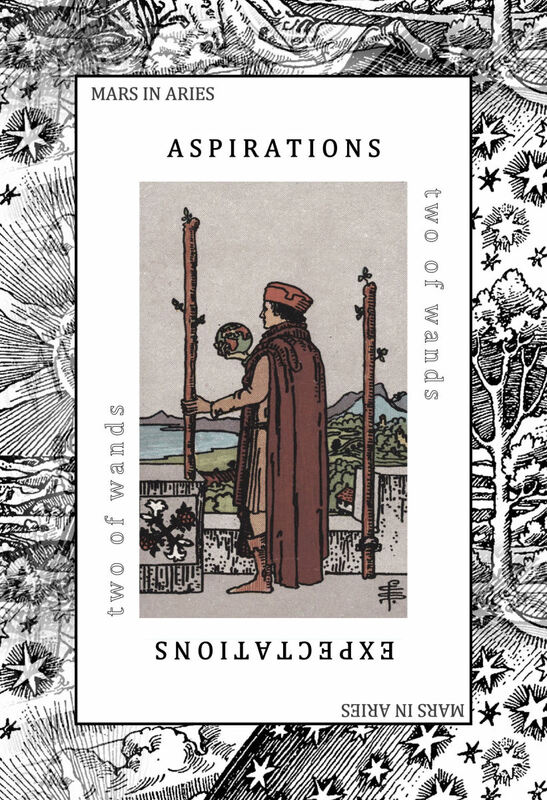 Two of Wands - you’re in a waiting phase, Sagittarius. Feeling a bit hampered, frustrated even. You hate feeling like you are held up by factors outside of your control. Nothing to be done. Refine your ideas, go over your plans again. The time for action is approaching. Your job, right now, is to get your ducks lined up and be ready to grab the opportunity when it appears. Go with the flow. 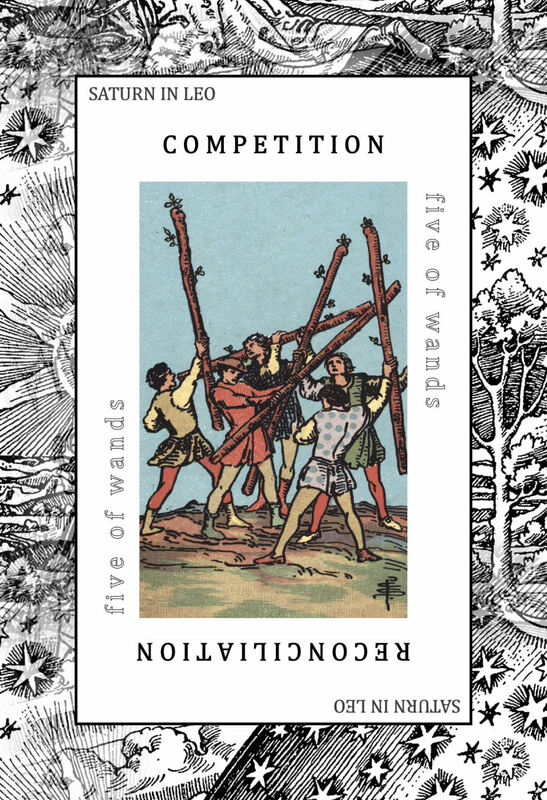 The Five of Wands. 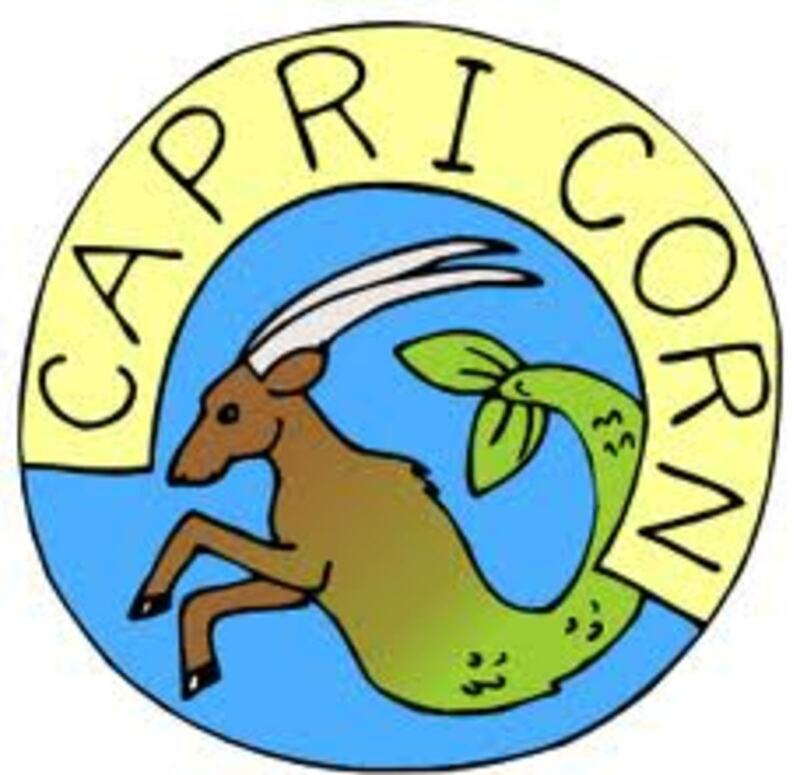 You might be surprised to find yourself struggling, Capricorn. It’s not like you to feel out of control and so ill-at-ease. Take a step back from the situation. You can’t sort this by using your authority, so let things settle and you’ll be able to deal with the challenge confronting you. Time has a way of providing a solution—you don’t have to do anything. 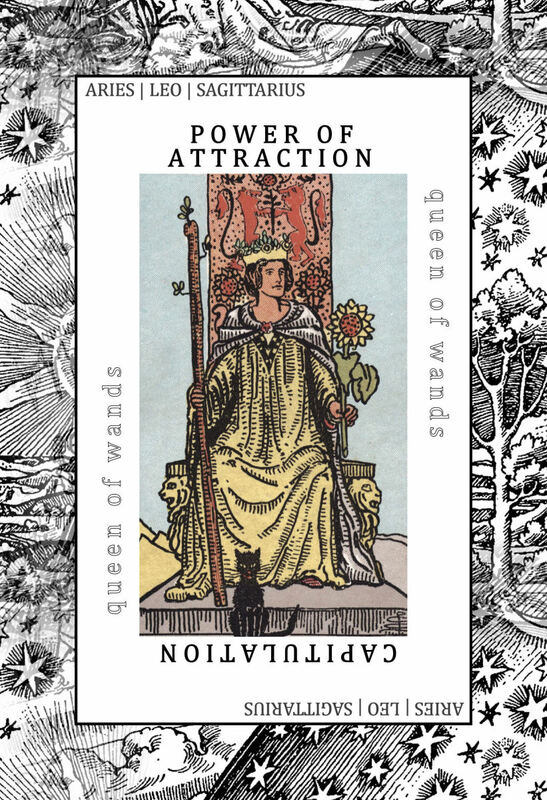 The lovely Queen of Wands is your card, Aquarius. She invites you to take on her eagerness, passion and enthusiasm. She also reminds you it’s okay to show your ‘dark’ side now and then. She’s a little scatterbrained so ensure you keep it together and don’t forget any essential item or task. The weekend is coming so make it a good one. If there’s a party on the agenda, have fun. The World. 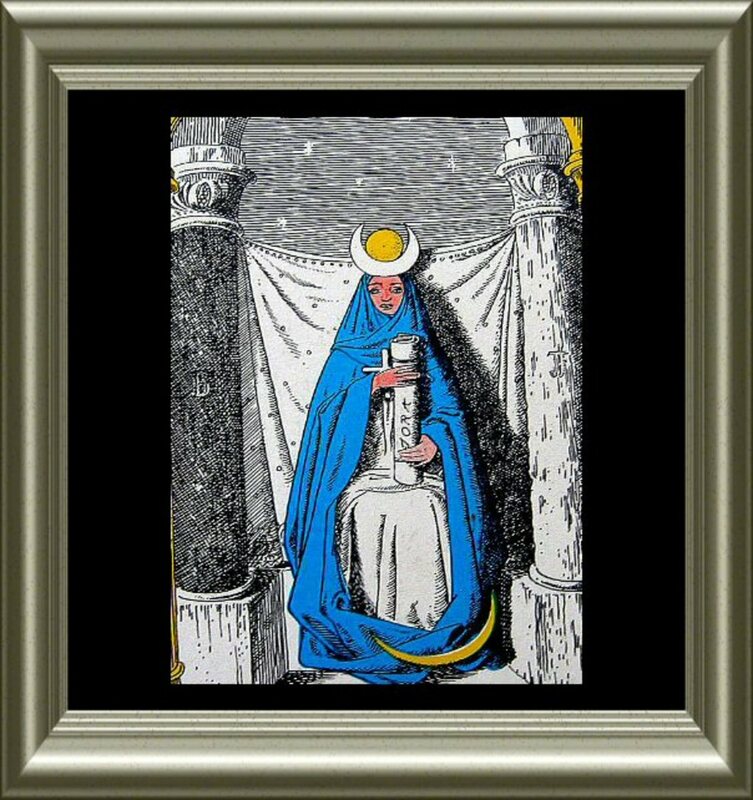 The last card of the Major Arcana, Pisces. It has an important message for you—you are exactly where you are meant to be. It’s all working out. It might feel to you as if you are uncertain about the way forward, but don’t worry. Your path will be made clear to you. Onward and upward. 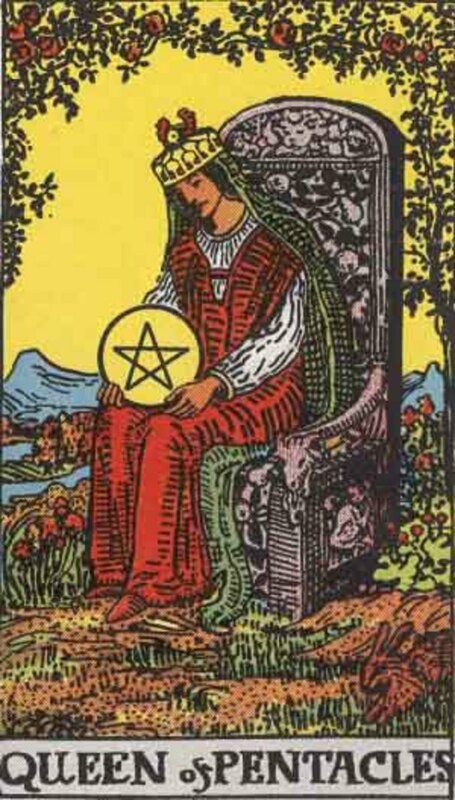 I hope your tarotscope held a relevant message for you. If not, just wait… it will make sense soon enough. Meanwhile, if you’d like to leave a message or ask a tarot-related question, please get in touch using the comments section below. Great hub Bev and thanks for sharing this with us. :) I'm a Virgo and you? You did leave one. They don't appear until I approve them :) Thanks so much for your lovely words. You've made my day. You are much too kind... I am just muddling through like everyone else. I dont know what happened. I thought I had left a comment for you. 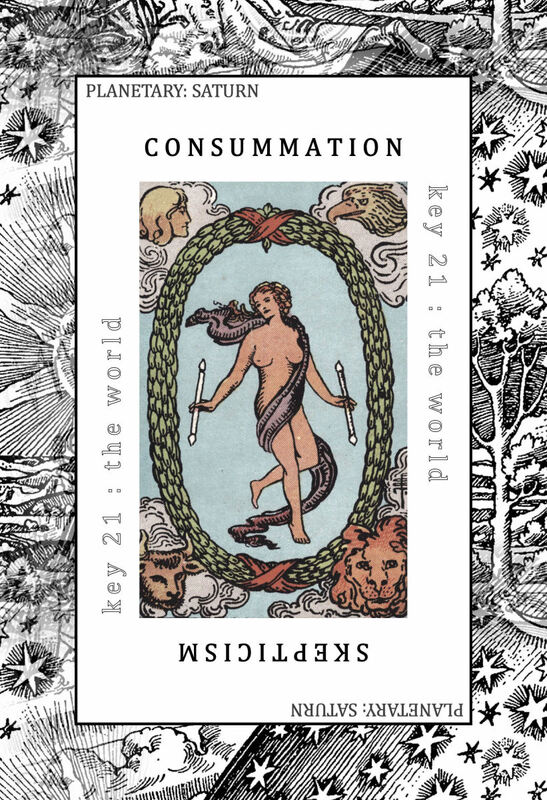 Anyway, great snappy introduction to tarotscopes. I enjoyed your interpretations as much as I enjoy doing my monthly tarotscopes here on hubpages. You are multitalented, raggededge. An incisive grammer expert on our hubpages articles together with being a tarotprenuer. Fantastic! Thanks, Nell. Yes, it didn't work with the images next to the text, hence all the necessary scrolling. Sorry! That's really cool! took me a moment looking for Gemini, but that's probably the fault of my typical Gemini split personality! lol!